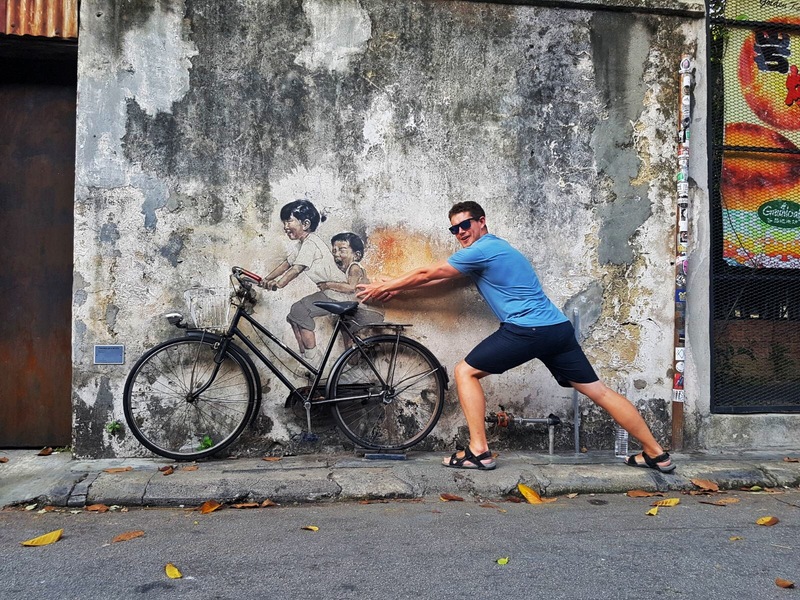 Our first stop in Malaysia was Penang Island, which has a charming cosmopolitan, a mountainous jungle, and palm fringed beaches. You’ll likely be dropped off in the capital, George Town. The journey from Krabi cost around £7pp, and we booked on 12Go Asia and managed to get a hotel pick-up included. Day one spend wandering around George Town. The city is full of rich and diverse history, after centuries of acting as a gateway between the Middle East and Europe and Asia’s most desirable exports. Old colonial buildings are in abundance, and many are given a new lease of life as chic cafes, bars and restaurants. Impressive graffiti seamlessly blends into dilapidated walls as well. Download the Street Art map here and see how many you can tick off! 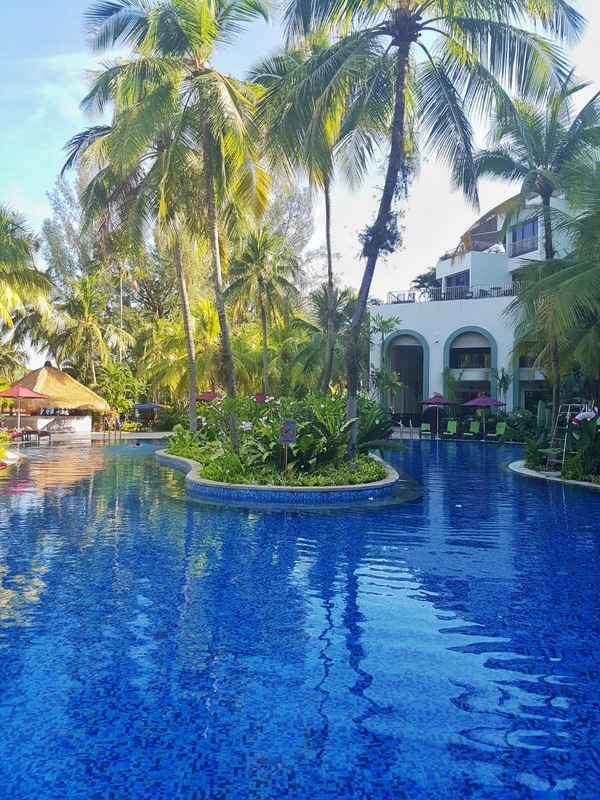 We stayed about 40 minutes outside of the city centre at the Park Royal Resort in Batu Ferringhi to enjoy the area’s natural beauty. Even if you don’t stay at the hotel, I’d recommend on day two getting a pass to their pool, bars and beach. I think it costs around £10pp, but it’s worth it! If the drinks are too pricey for you, walk two minutes along the beach to Bora Bora. 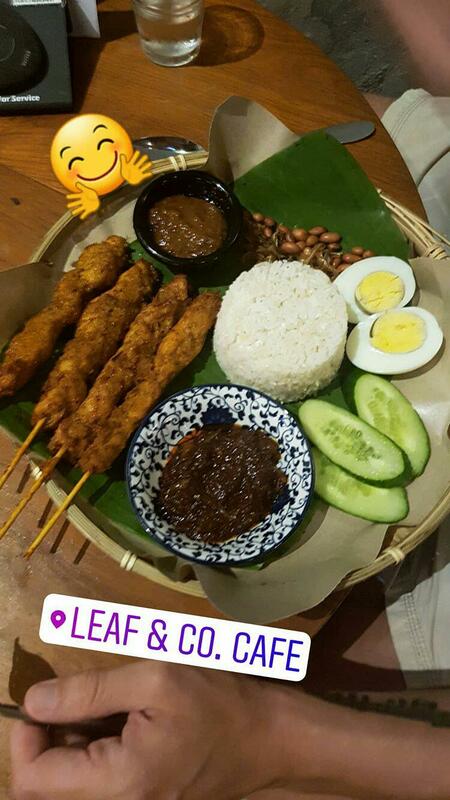 There’s also a great restaurant nearby called Living Room Bar and Cafe, which serves up mouth-watering and great value Malaysian food. 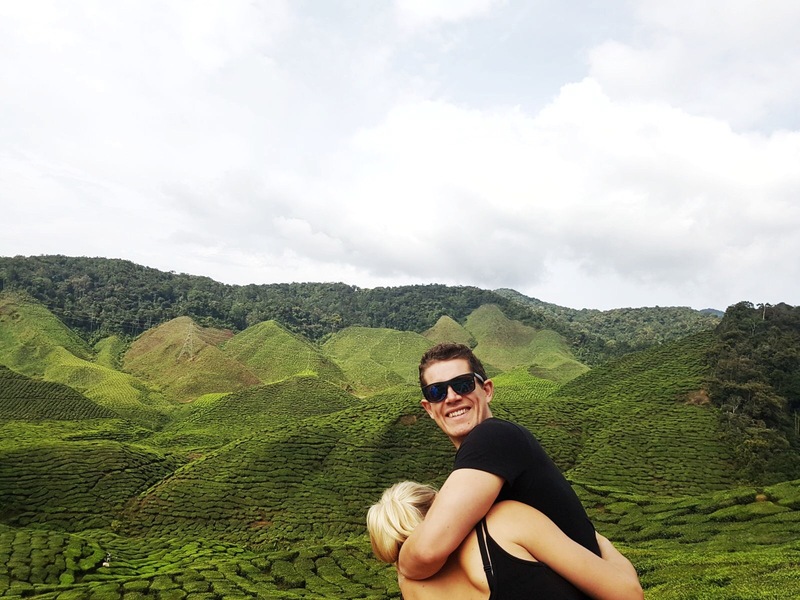 Cameron Highlands is where it’s always time for tea! On our way to Kuala Lumpur we broke up the 8 hour journey by stopping off in Malaysia’s largest hill-station. Tea plantations extend over vast valleys, creating a lush Emerald canvas. Temperatures rarely push past 30°C, so it was quite a shock coming from 33°C in Penang to 20°C, with the occasional aggressive downpour. Great for agriculture, not great for shorts and tank tops. 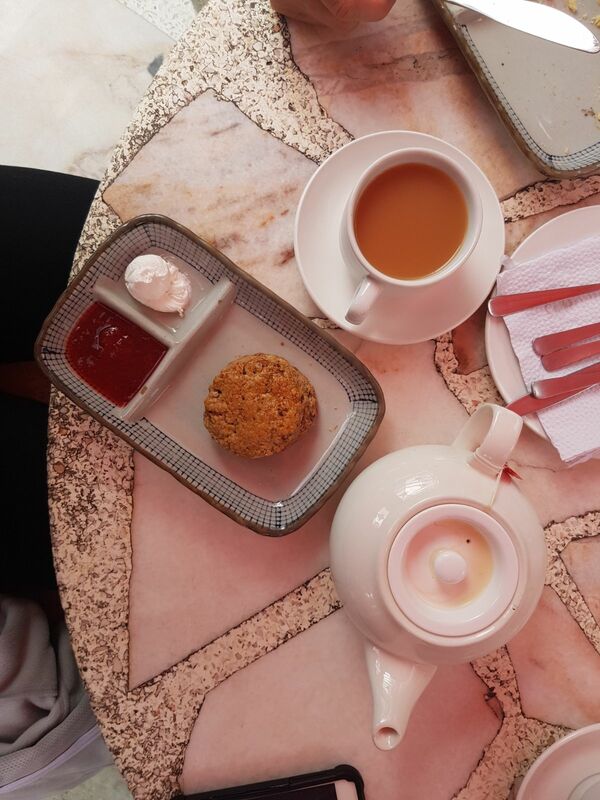 When the weather’s too much to bear in the cities, Malaysian’s often venture here for a few days to sip a brew and enjoy a delicious fruit scone. The sweet treats at the Barracks Cafe are particularly delicious (try the blueberry if you can!). The towns often look like they’ve been plucked straight from the The Sound of Music intro, with Scandinavian-esque black and white resorts. We were later enlightened by a very friendly taxi driver that this popular colour scheme is to pay homage to the area’s flag. Don’t expect much in the way of international cuisine and electric night-life, as when the sun withdraws so do most of the locals. There are a few relaxed restaurants and bars for weary travellers to reenergize before a day of hiking through the lush landscape. A good Indian we tried was Singh Chapati Restaurant, which is run by a family and extremely cheap. A curry was around £1.50! You have the option of booking a tour or seeing a tea plantation by yourself. The tour would include a few other stops, including a factory. We opted for just the plantation, as it saved us cash and that was the main thing we wanted to see. It cost around 20 MYR (£4) for a taxi to the Cameron Bharat Tea Estate just outside of town. It’s free to admire from afar, but to actually walk around inside the estate head to site number 2 and it’s a 10 MYR (£2) entrance fee. You can also just purchase some Cameron Highlands tea and scones and admire the serene view from the cafe which overlooks the valley. Where to stay: We stayed at the Century Pines Resort which was like crashing at granny’s. I’d recommend the Map Travelodge hostel instead, as reviews are good online! 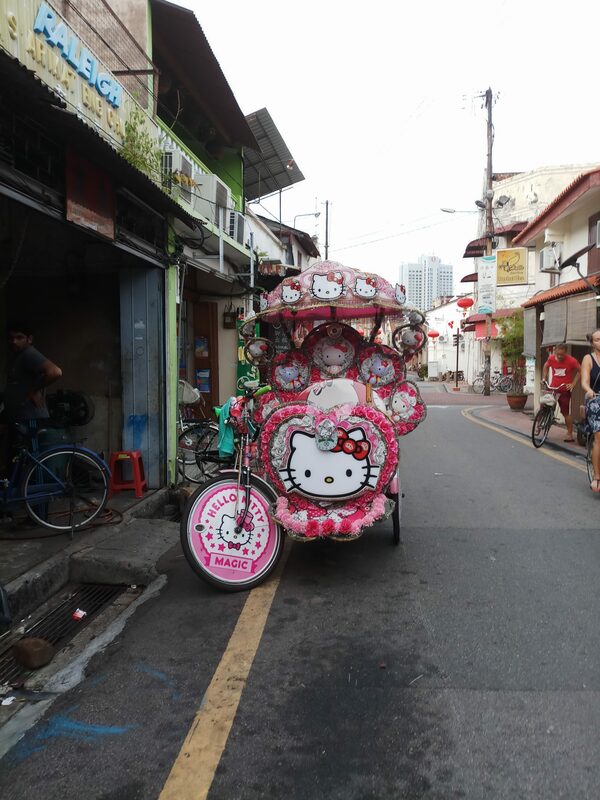 The dazzling capital city of Malaysia is a kaleidoscope of cultures! I felt like it was a place I could happily plant some roots for a year or two, wandering around the markets, soaking up the trendy vibes and chowing down on hoards of international cuisine. To get there from the CH, catch a 4/5 hour bus for as little as 35 MYR (£6.50pp). Stay in a VERY stylish hostel called Mingle, which is decked out in an industrial theme. 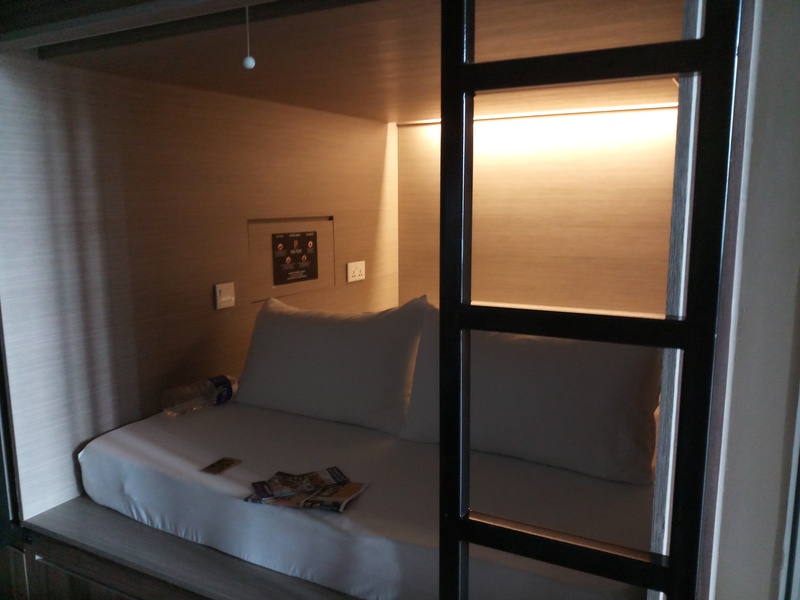 Not only is this place cheap, with doubles costing £20 a night with breakfast, it also offers a 20% discount for a great restaurant downstairs called Leaf & Co Cafe and access to a secret infinity pool which overlooks the city. Need I say more? 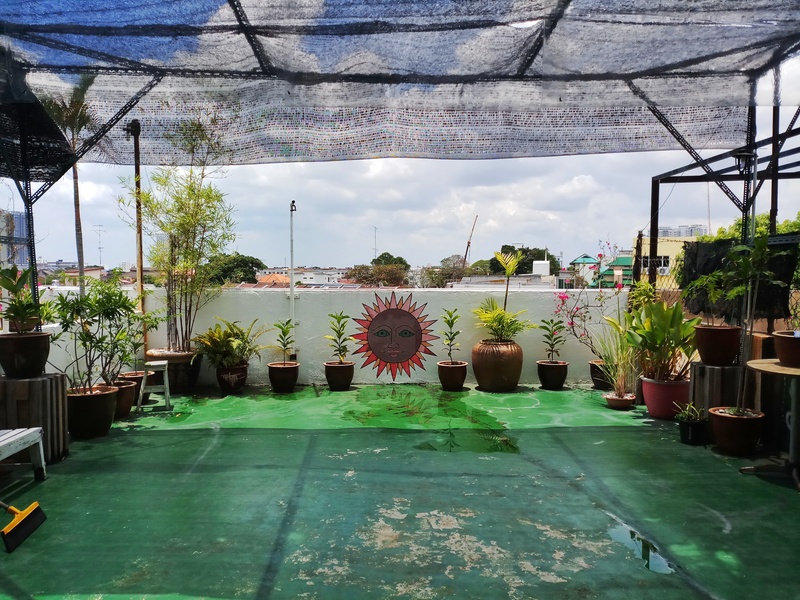 It’s also a five-minute walk from the Chinatown night market in Petaling Street, which is a bargain-hunter’s paradise. 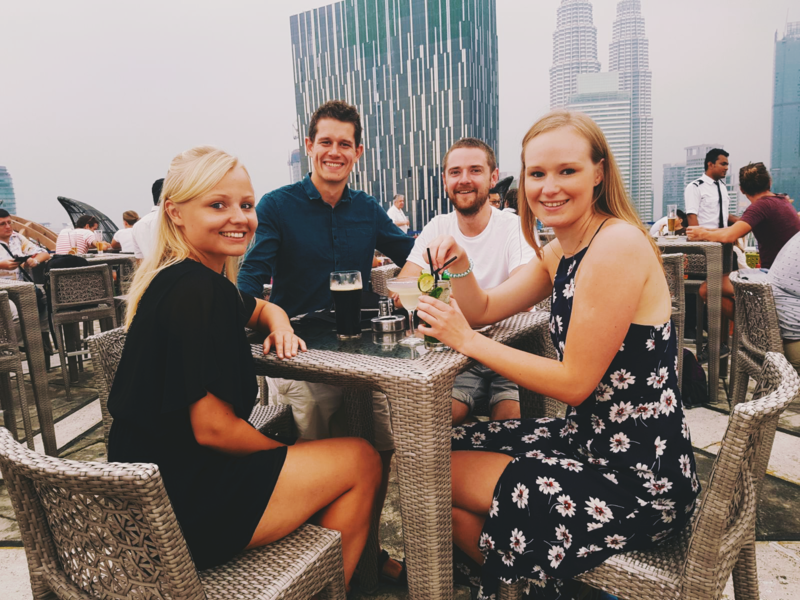 In the afternoon head to the iconic Kuala Lumpur Tower, aka the Manara KL, which is the world’s largest communications tower and has spectacular panoramic views of the city. Entry to the observation deck is about 70 MYR (£13pp). You can get a ticket that covers entry for this and the Petronas Twin Towers, which on their own is around 117 MYR (£22pp). I’d recommend saving this attraction for an evening/night as the views would be far better. Plus there is a nightly light show in the park opposite the towers from 9-10pm. 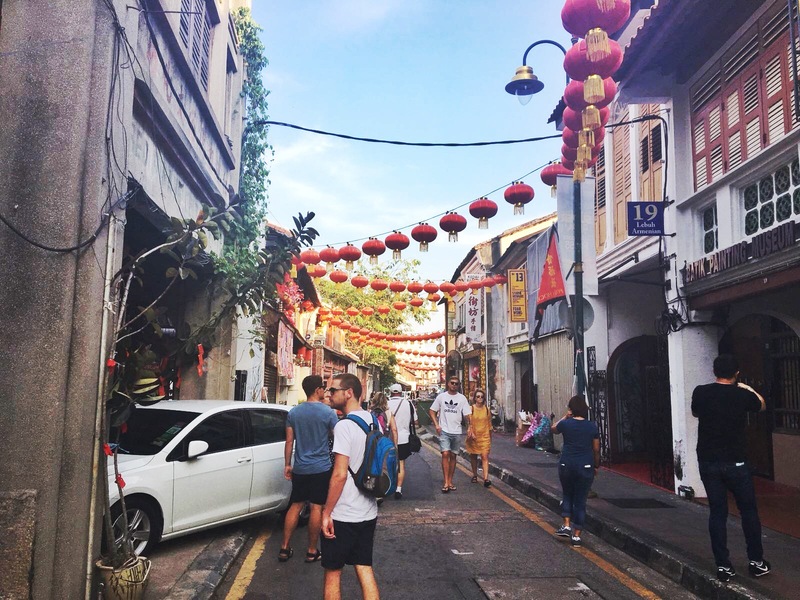 A great road to find food is Changkat Bukit Bintang, with dozens of international restaurants and bars. They aren’t the cheapest, but the atmosphere is electric. We ate at Pinchos Tapas and a delicious, belly-stuffing meal with two glasses of wine cost £15. Across the road is a bar called Havana with Happy Hour cocktails and a Latin-American vibe to help loosen you up a bit after a long day of walking. If these places are too expensive, try Alor Street which was famous for being a red light district. Now people are drawn to it like a moth to a foodie flame. Street vendors only really set up when the sun begins to set and the street changes appearance completely and becomes a hive of culinary activity with dozens of humble but delicious dining experiences on offer. 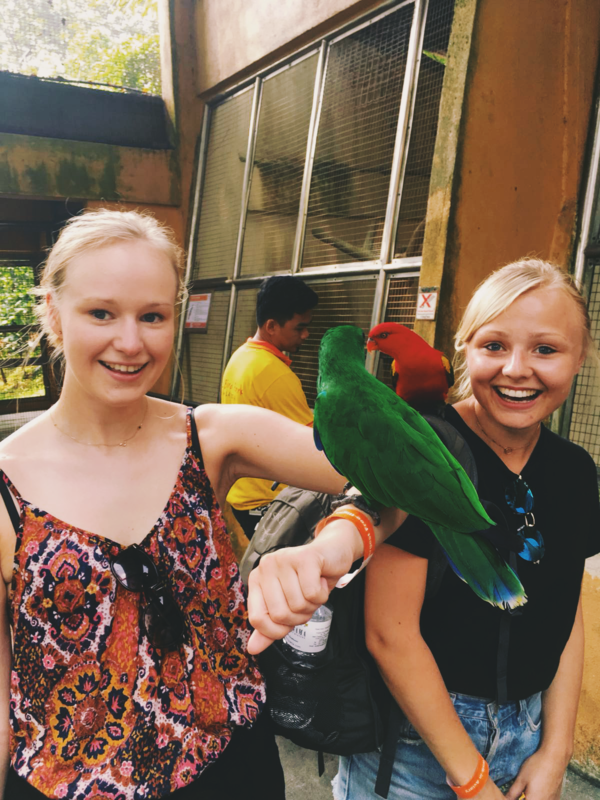 Day two is for my favourite attraction in the city, the KL Bird Park  Spanning over 20 acres this enormous aviary is home to over 3000 feathered friends. What was particularly great about the park, was that a lot of the birds weren’t in cages are could move around freely. The best part was the parrot sanctuary as the little guys are very friendly! Tip: Combine the Bird Park, the Butterfly Park and the Orchid Garden with a combo ticket. 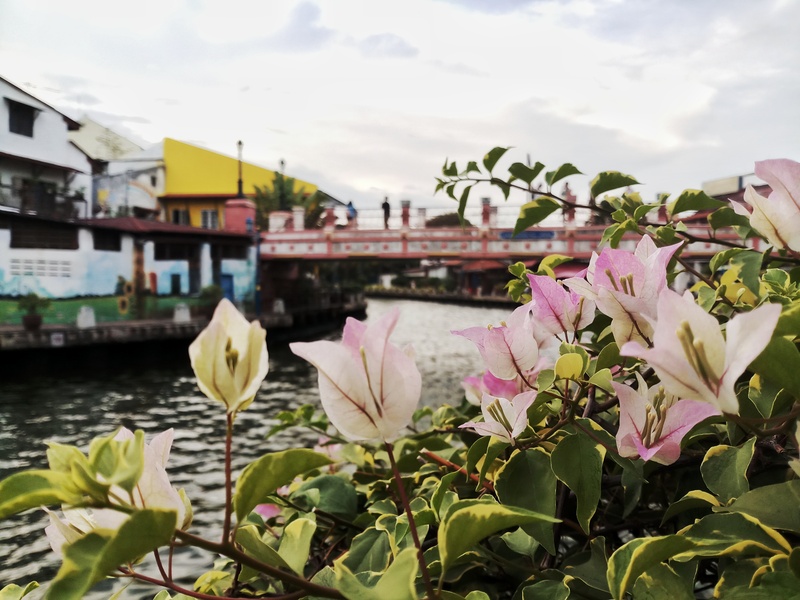 Afterwards, head back to the hostel for an early dinner, as you’ll need to get to KL’s ‘best kept secret’ for sunset, which is arguable the worst kept as most travellers know about it . The Heli Lounge Bar is a trendy bar on a…you guessed it, a helipad! It’s on the top floor of a University building near the business district, but isn’t sign posted so put your trust in Google Maps. It’s also a 15 minute walk from the Petronas Towers. The drinks are pricey, but no more so than other bars in the city centre, and there’s a happy hour. 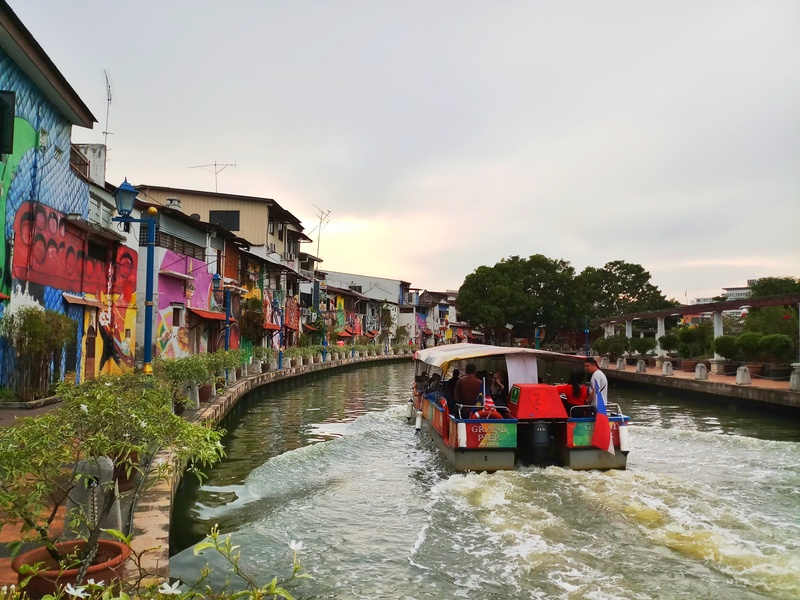 If you have a third day you still have plenty to see, including the Batu Caves, museums, extravagant shopping malls, and the Sunway Lagoon Theme Park a short journey outside of the city. 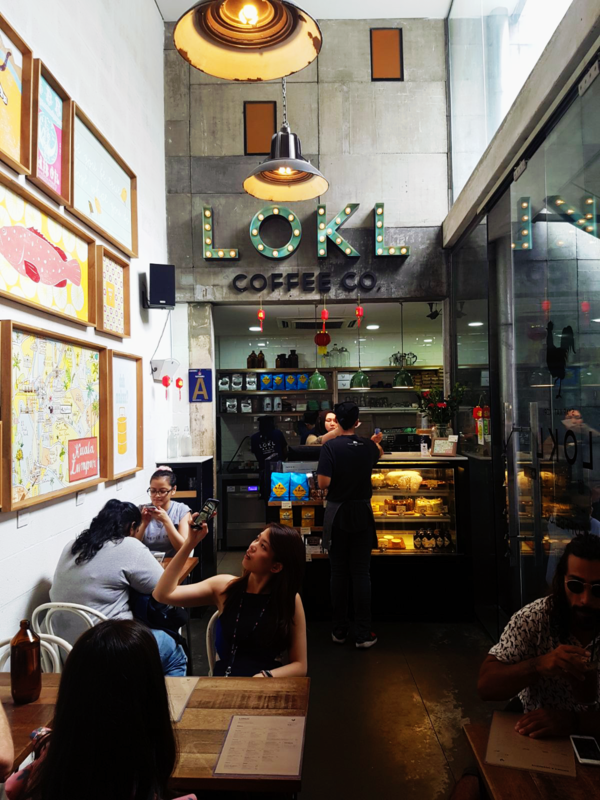 Another good cafe in the Bukit area and not far from the Berjaya Times Square mall is VCR Cafe. I can’t stress enough how relaxed I felt in Melaka (see what I did there?) 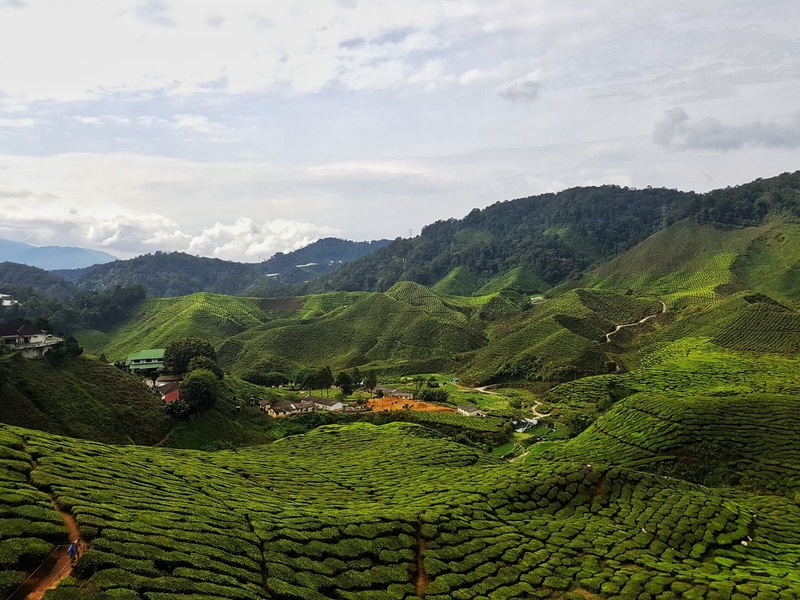 Steeped in cultural heritage, this old-worldy place is a treasure worth seeking out, and is a short two-hour bus ride from KL. The city’s charm is as classic as the hoards of vintage collectables switching hands amongst locals. A plethora of shops, cafes, accommodations and restaurants monetise nostalgia by transporting tourists to the golden ages of vinyl, cassettes, Triumph motorbikes, Heart Nouvelle posters, and VW campervans. Think Goodwood’s Revival on a more subtle scale. 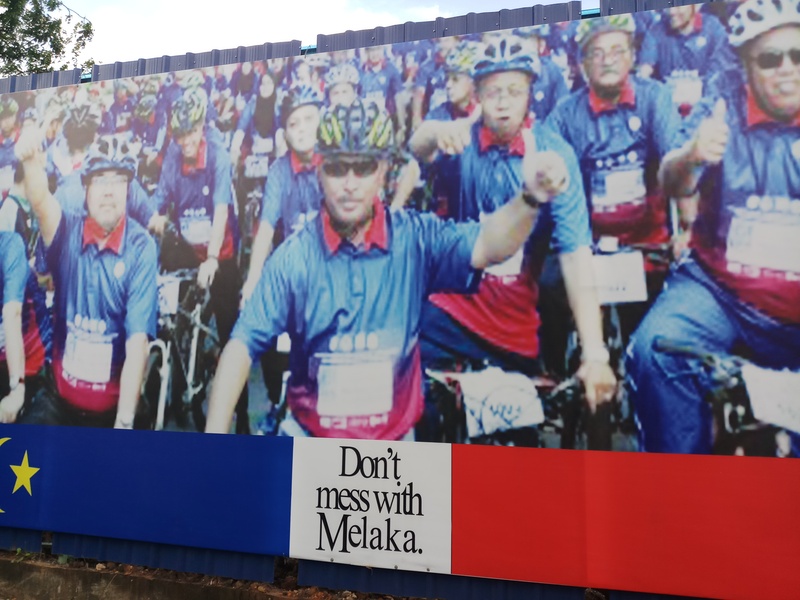 The state’s catchphrase, ‘Don’t mess with Melaka‘, sums up its confident attitude. 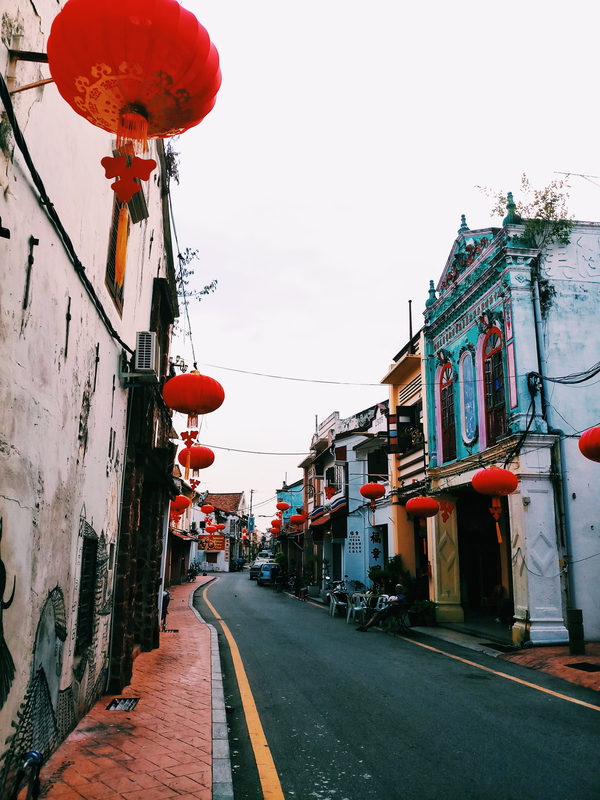 On your first day, wander around Melaka City and its historic centre. It was crowned a Unesco World Heritage Site in 2008, which has put the former major trading port back on the travelling map. It avoided significant damage during WWII, meaning a lot of the beautiful heritage architecture remains intact today, more so than other Malaysian states like Penang and Kuala Lumpur. 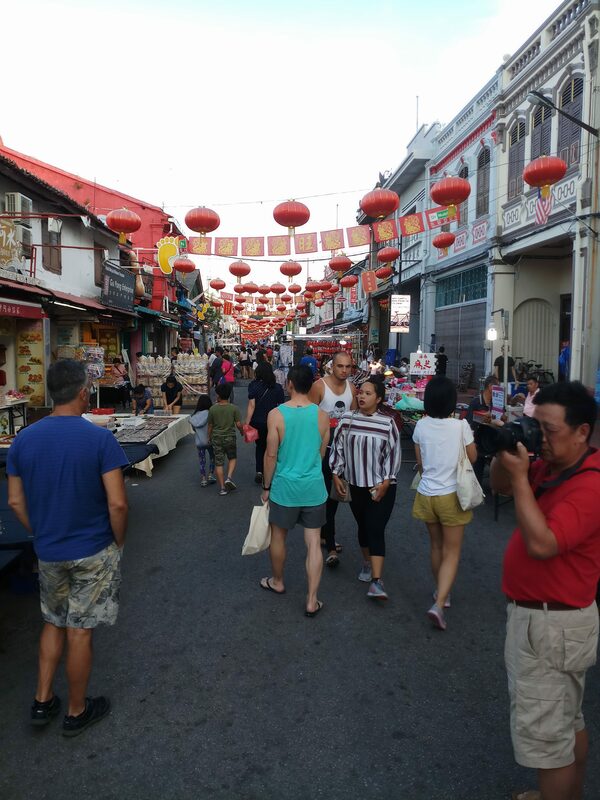 Most of the best things to see are nearby Jonker Walk, a street in historical Chinatown starting just across the river from the Dutch Square. It houses many shops selling antiques, textiles, handicrafts and souvenirs and has become THE place to visit. From 6pm on the weekend, the Night Market creates a carnival atmosphere, with bright coloured vendors all vying for your attention. Tip: Get your hands on Chicken Rice Balls, a local delicacy that can easily be found in the night market and at other food vendors across the city. Other food places to tick off include Calanthe Art Cafe for a coffee and quick bite for lunch, The Daily Fix for an early dinner (this place does the best smoothies, but gets busy so 6pm is a good time to go), and a really cheap but tasty place to eat near Jonker Street is Sayyid Antique and Cafe, run by a lovely local couple. On your second day hire a bicycle from Ringo’s and explore further outside of the centre. St. Paul’s Hill and Church are worth a visit. It’s a beautiful, roofless sanctuary with a great view of the Old Town. In the afternoon seek out the city’s best street art. It’s everywhere and makes a great photo. In the evening, stroll along the River Walk waving to passing boats and cruises. Find a nice spot to people watch or read as the sun sets. For dinner, try the River View Cafe. Last but not least you’ll struggle not to notice these three-wheel bikes that you can hire with a rider. They’re decked in amusing themes including Spiderman, Hello Kitty, Santa Claus, and other cartoon favourites. I didn’t get a price, but just watching then ride by, pumping out music was a highlight. Singapore is opulent and pristine, structured and sophisticated. It’s money making core is decorated in a plethora of eye-catching tourist attractions and trendy restaurants and bars. At night, its skyscrapers become a beautiful beacon of artificial light, that stretches out across the sky and bay. Grandiose shopping malls, futuristic infrastructure and spotless streets create a pleasure seeker’s playground, if your pockets are deep enough. You can still enjoy a few days in the centre on a backpacker’s budget. Dorm rooms in hostels, while double the price than the rest of Asia, are far cheaper than hotels. We stayed at a great place called The Port by Quarters in a double bed for £30 a night, breakfast included. You can also save a lot of money eating at Hawker centres, which are food courts scattered all over the city. 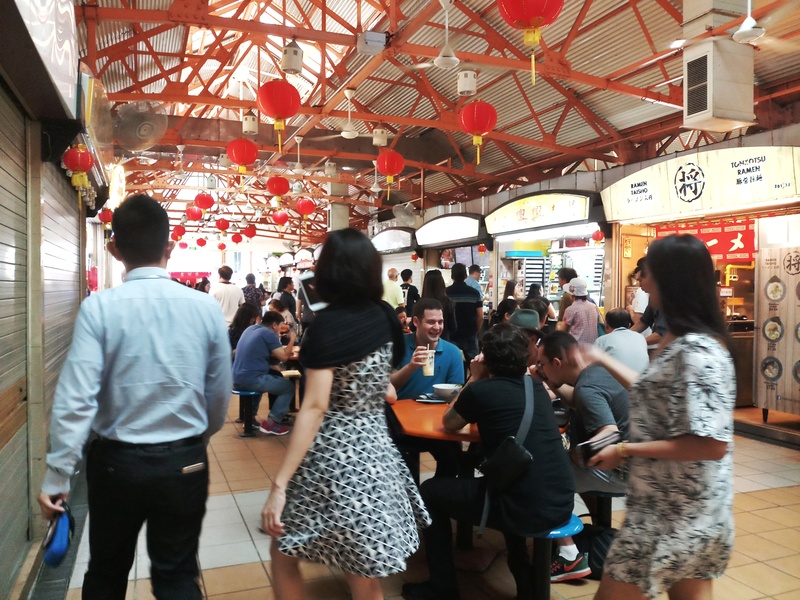 These down-to-earth culinary hubs are where you can find a wide variety of local dishes, our favourite being the chicken and rice at the Maxwell Road Hawker Centre. 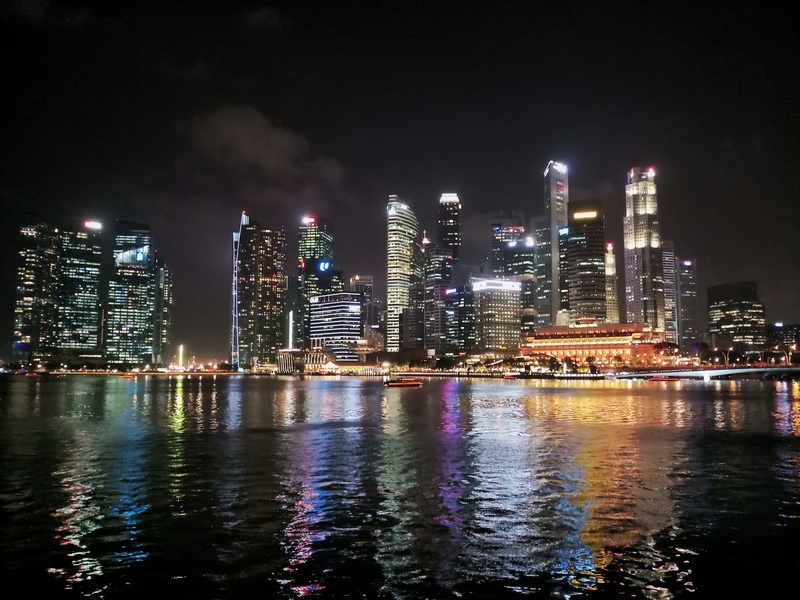 All the best things to do in Singapore in my opinion are free. The bulk of the city’s historic landmarks are dotted along the river forming a central artery to the densely packed Business District. After a major clean-up in 1983, the bay has attracted tourists from all over the world and continues to bustle with life. 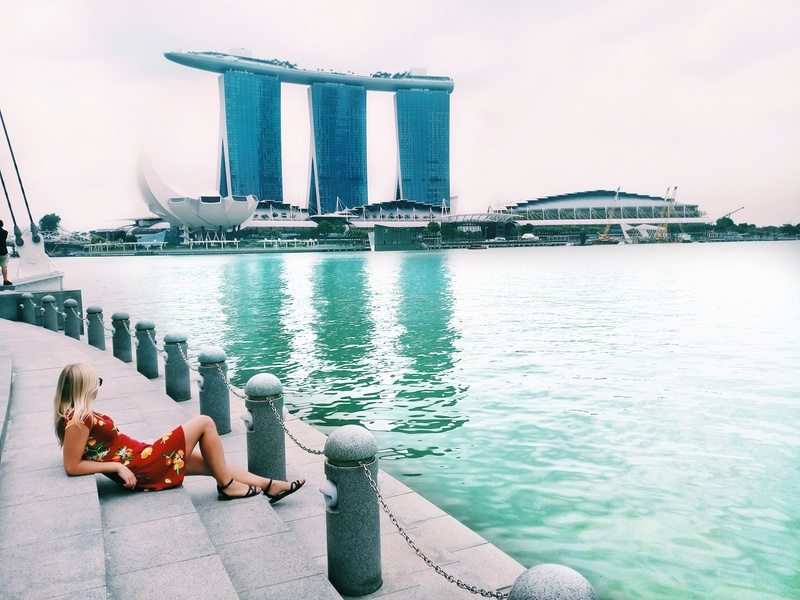 We spent hours walking along the waterfront, admiring impressive sites like the Merlion monument, iconic Marina Bay Sands hotel, Helix Bridge, and ArtScience Museum. If you want that iconic infinity pool snap overlooking the city from Marina Bay Sands you’ll have to fork out for a night’s accommodation, as guests can only use it. There’s an observation deck with spectacular panoramic views you can pay £12 (23 SGD) to get up to though. 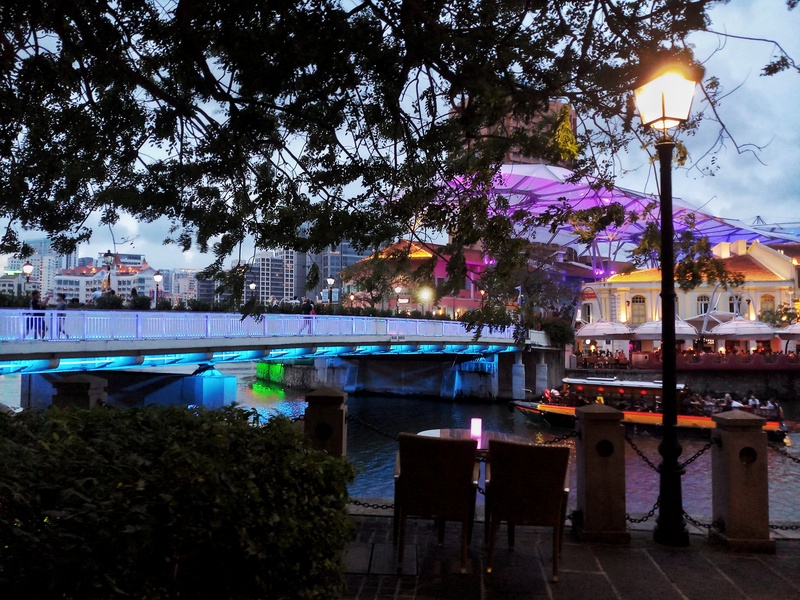 Further down, you can enjoy a refreshing drink and tasty lunch at Boat Quay (where we stayed), dance the night away at Clarke Quay where warehouses have been transformed into electric nightspots, or relax at the laid-back Robertson Quay. We tended to eat cheap, then sit on riverside watching the world go by. My favourite place and activity was watching the Gardens by the Bay light show. 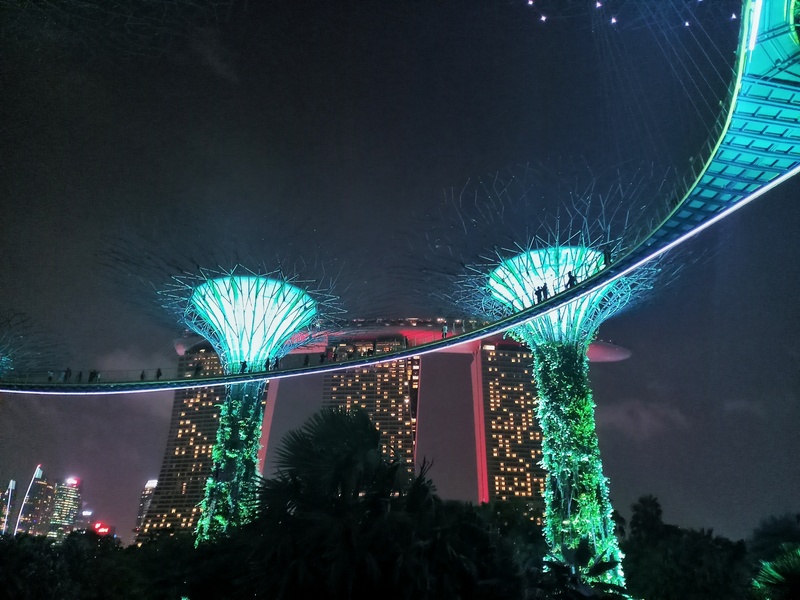 At 7.45pm and 8.45pm every night, the Supertree Grove orchestrates a rhapsody of colour and music to a magical soundtrack! (It was Disney themed when we watched ). 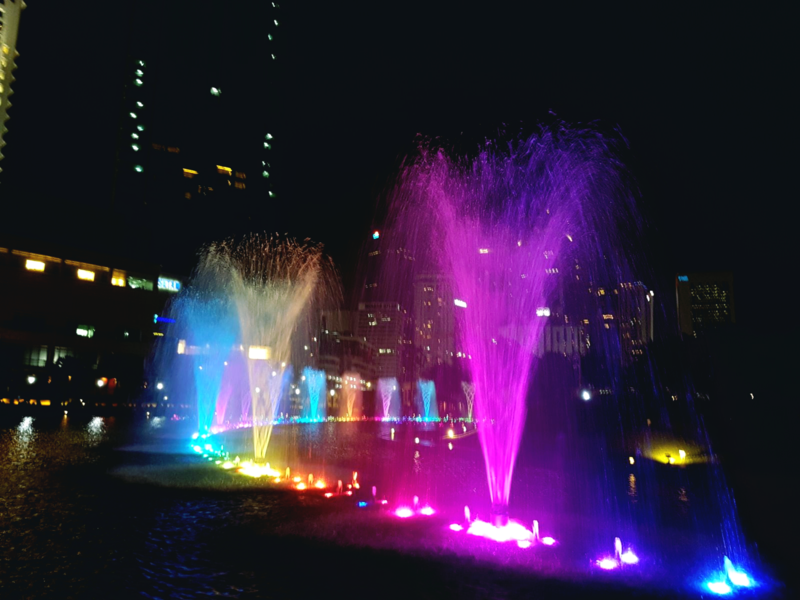 There’s also a free water and light show called Spectra at 8pm and 9pm in Marina Bay at the Event Plaza. Further out, you can stroll around the Singapore Botanic Gardens. This 158-year-old tropical oasis is a short MRT (underground) ride away and is free to use. It has also been honoured as a UNESCO World Heritage Site. Pack a picnic though if you want to save the pennies, as the cafe/restaurant on site is quite pricey. Other popular attractions include universal Studios, the Cloud Forest, National Orchid Garden, and Chinatown. This is a great place to visit if you’re a fan of Tintin, as there’s a whole store dedicated to the book! Tip: Try the Goreng Pisang (fried banana) and coconut jam dip if you find it. 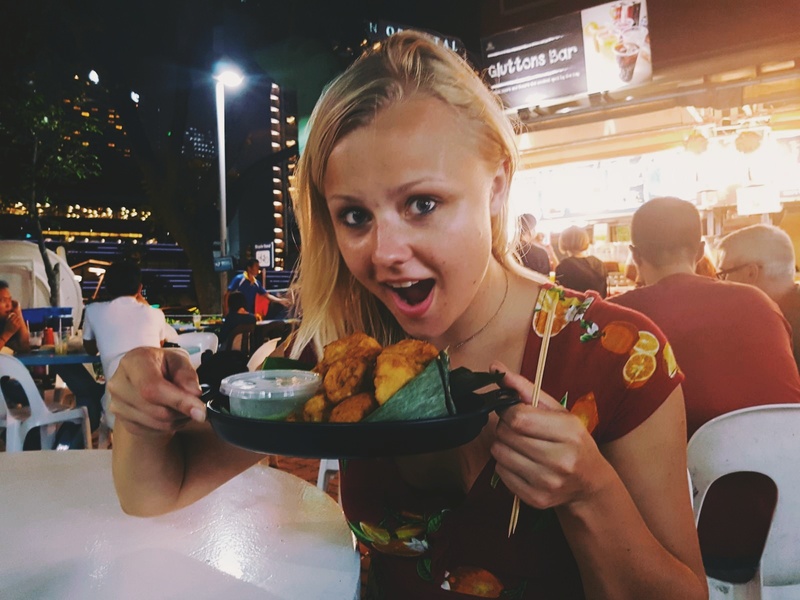 We ate some at the Makansutra Gluttons Bay hawker centre which overlooks the Marina Bay for $3.50 SD (£1.90) and it was delicious!